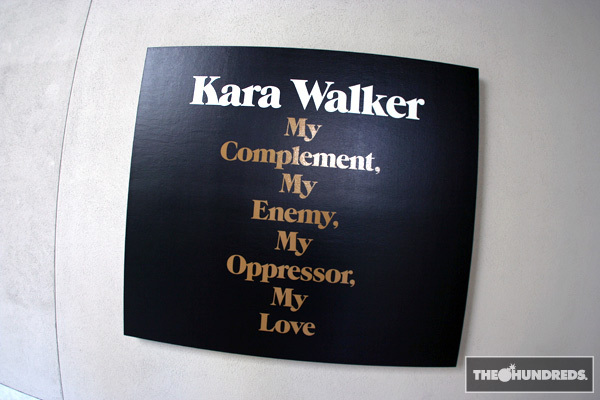 I just got back from Kara Walker’s “My Complement, My Enemy, My Oppressor, My Love,” which is currently showing at UCLA’s Hammer Museum until June 8. 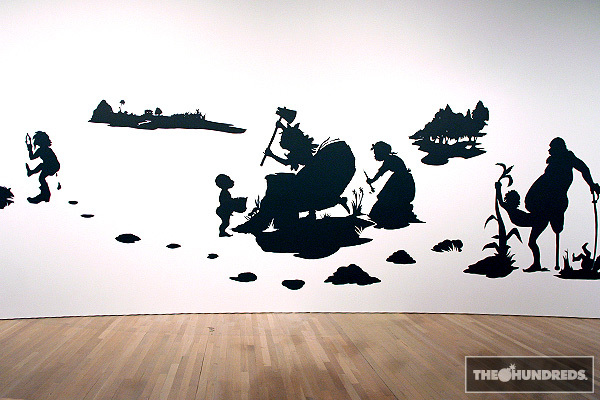 Walker’s work is largely characterized by the 18th-century artistic process of cut-paper silhouettes and delves into America’s history with racism and race relations, slavery, sexual perversion, and violence. Her process is actually pretty cool. 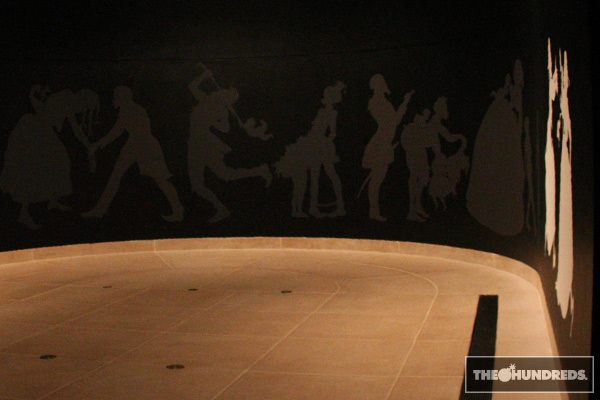 She elaborately sketches the characters with chalk on the paper, cuts around it with a razor, then flips the cut-outs over and pastes them on the wall. 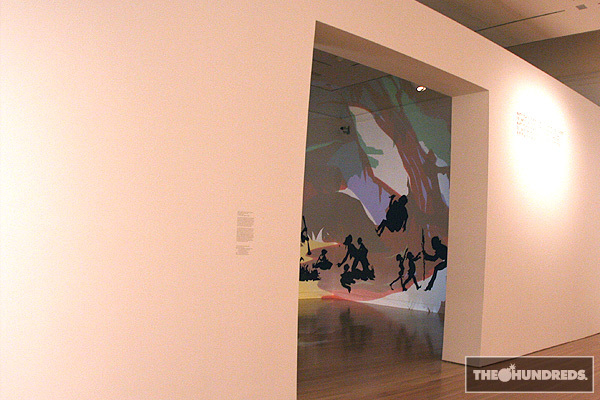 My favorite part of the show was the incorporation of light projections that not only transpose layers of colorful subtext onto the characters, but also involve the viewers’ own silhouettes to move through the imagery as they walk through the gallery space. 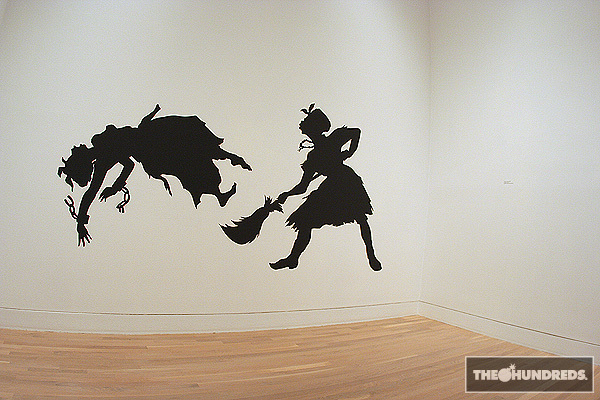 For more on Kara Walker, here’s a good site to check out.